Celebrating its 25th anniversary in 2017, the OEKO-TEX Association is a union of 18 independent global textile research and test institutes. 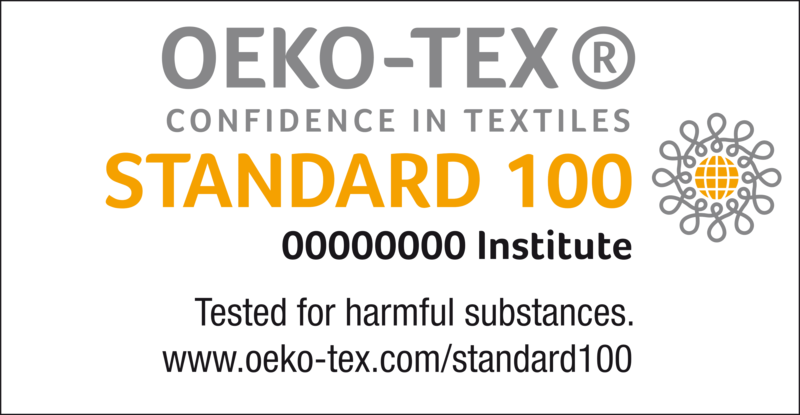 STANDARD 100 by OEKO-TEX is a testing and certification system for textile products. The tests for harmful substances cover substances which are prohibited or regulated by law, chemicals which are known to be harmful to health, and parameters which are included as a precautionary measure to safeguard health. A tested textile product is allocated to one of the four STANDARD 100 product classes based on its intended use. Manufacturers are entitled to mark successfully tested products or article groups with the STANDARD 100 label as long as all components, including accessories, comply with the specified test criteria. An issued certificate is valid for one year and can be renewed as often as required. There are currently over 10,000 textile and clothing manufacturers throughout the textile processing chain in more than 100 countries certified according to STANDARD 100. With over 150,000 certificates issued the STANDARD 100 label is the best known and most widespread test label for textiles in the world. 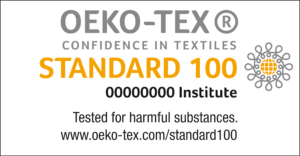 For more information on STANDARD 100 by OEKO-TEX, please visit http://www.oeko-tex.com/standard100. For more information on ECO PASSPORT by OEKO-TEX, please visit http://www.oeko-tex.com/ecopassport. For more information on OEKO-TEX system, please visit http://www.oeko-tex.com.